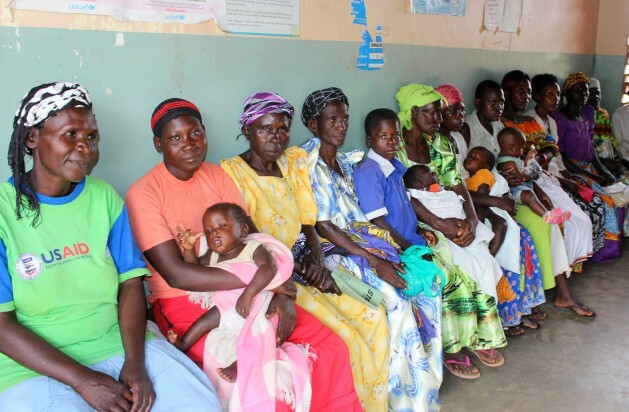 Mothers and babies wait for health screening at a US funded health clinic in Uganda. Credit: Lyndal Rowlands / IPS. UNITED NATIONS, Apr 5 2017 (IPS) - The U.S. has withdrawn all of its funding to the UN Population Fund (UNFPA), an agency that works on family planning and reproductive health in over 150 countries. The claim was made by the U.S. State Department in a letter on Monday announcing the cuts, but has been described repeatedly as baseless, by those who know the UNFPA’s work. The U.S. is one of the largest contributors to UNFPA having provided over $75 million in 2015 alone, the third highest contribution from a government after the United Kingdom and Sweden. The U.S. is also the second largest funder of UNFPA’s humanitarian operations. Like other UN agencies, UNFPA is funded by governments voluntarily. Though UNFPA does work in China, both Kowalski and Jalan told IPS that the accusation is baseless and is simply an “excuse” to stop funding an organization working on sexual and reproductive rights. International Women’s Health Coalition’s Director of Advocacy and Policy Shannon Kowalski told IPS that the cuts will have “devastating consequences” for girls and women around the world. “UNFPA has played a critical role in getting services to the most marginalised women…now their lives and health are at stake because of this,” Kowalski told IPS. She noted that the UN agency’s frontline work in crisis situations will be most affected, including the provision of sexual and reproductive health services to women who have been targeted by the Islamic State (IS) or other groups in the Middle Eastern region. According to the UN Foundation, the elimination of U.S. support threatens UNFPA’s ability to reach an estimated 48,000 women with safe childbirth in Syria and 55 women’s centers providing support for over 15,000 women and girl survivors of gender-based violence in Iraq, including one dedicated to more than 700 Yazidi sexual violence survivors. Around the world, the UNFPA says that US funding in 2016 helped it to save the lives of 2,340 women from dying during pregnancy and childbirth, prevent 947,000 unintended pregnancies, ensure 1,251 fistula surgeries and prevent 295,000 unsafe abortions. Executive Director of UN Foundation’s Universal Access Project Seema Jalan told IPS that the U.S. government is also the primary funder of the only maternity ward for Syrian women in the Zaatari refugee camp in Jordan. “Pregnant Syrian women will have absolutely nowhere to go to deliver their babies,” she stated. This is not the first time that the UNFPA has experienced such cuts from the U.S. government. President George W. Bush previously withdrew $34 million from the agency between 2002 to 2008, similarly citing the agency’s involvement in coercive policies in China. Though UNFPA does work in China, both Kowalski and Jalan told IPS that the accusation is baseless and is simply an “excuse” to stop funding an organisation working on sexual and reproductive rights. “The Chinese government does still [violent women’s rights]… but because UNFPA is active in the country in supporting the implementation of voluntary sexual and reproductive health services, they link the two and say that UNFPA is directly supporting these coercive policies which is not true,” Kowalski stated. One such coercive policy is the East Asian Nation’s one child regulation which has been slowly phased out since 2015, a move that UNFPA helped the country make, Jalan said. “The main purpose of UNFPA in China has been to introduce the concept of quality of care and voluntary family planning that is rights-based,” Jalan told IPS. Jalan added that UNFPA in China did not even provide assistance to the Chinese government or its family planning agency in 2016, a claim that the State Department makes in its letter. However, due to the doubling in U.S. contributions since 2002 and the unprecedented humanitarian crises around the world, the global impacts of the recent decision is expected to be far greater than before. Kowalski urged Congress to revoke the Kemp-Kasten Amendment which was referenced to defund the UN agency. The amendment prohibits foreign aid to any organization, including U.S. organizations and multilateral organizations, that is involved in coercive abortion or involuntary sterilization. It is similar to the recently reinstated global gag rule, also known as the Mexico City policy, which forbids foreign groups receiving U.S. assistance to provide information about abortion or abortion services. Jalan said that this was an “important” start, but urged for a more bipartisan initiative to reverse the decision. “Funding for women and girl’s basic healthcare, assuring that a Syrian refugee pregnant woman can actually have a safe delivery and that her child can survive that delivery, someone who has survived sexual violence and can have access to care and support—we believe that that is a bipartisan issue,” she told IPS. Kowalski also stressed the need for the international community to step up and increase their support to help close UNFPA’s funding gap. Upon the reintroduction of the global gag rule, several countries raised approximately $190 million to help fill imminent funding gaps including Sweden, Canada, and Finland who each pledged $21 million towards global access to sexual and reproductive health services. “Without UNFPA being able to provide these services, the consequences for women will be devastating,” Kowalski said. The funds allocated to UNFPA for the fiscal year 2017 are to be reverted to the US Agency for International Development (USAID) to support family planning, maternal and reproductive health operations in developing countries. The decision marks the first of the Trump administration’s promised cuts to the UN. The results from having amateurs making laws they have little knowledge of, along with the false information-news today/evangelical input also. From the looks of changes taking place, the U.S. is stepping back in time, re-instituting failures to public health, because it can under Trump/Republicans.